Last night, it finally happened to me after 17 years of driving. Somehow, I've always managed to smugly avoid motorway gridlock, although I've certainly had my fair share of M25 misery. But seeing as I drive about 30,000 miles a year, I guess it was time for my number to come up. I live in West Sussex and was actually looking forward to a drive to King's Lynn in North Norfolk on a business appointment, especially so as, the night before I had taken possession of a shiny white 2013 Ford Focus Zetez-S, with the 1.0 125PS Ecoboost three cylinder engine. Having recently been beset with problems in my usual company car, a Toyota Prius, I had been offered a Focus by my fleet department and this was, I thought, a great opportunity to see if I liked it. By the end of the day, I had no idea that I would become more familiar with it than I could possibly have imagined. West Sussex to King's Lynn, combined with an important meeting, then home in one day was always going to be a bit of a tall order but it was a beautiful sunny day, and I had a new car to play with. Apart from an idiot in a Citroen Berlingo shedding the contents of his boot in front of me at the Dartford crossing, it was all plain sailing. I made it up there in about three hours, one hour early for my appointment and began to think it would be an easy day. I completed my appointment in good time and decided to take a leisurely drive back past RAF Lakenheath, in the hope of seeing one of the F15 fighter jets I had heard screaming around during the day. Of course, I did not know that just before I bid farewell to my client in King's Lynn, a Range Rover towing a trailer apparently loaded with cooking oil had overturned between junction 7 and 6 of the M11, just before the M25, shedding the oil over the carriageway. Although constantly in and out of the garage, one of the really good feature of my Prius is the live satellite navigation system. The computer plans a route and, a few moments later, advises the driver of any blockages or traffic and suggests an alternative. I feel certain that at this point, if I was in my usual car, I would have embarked upon a circuitous route home and cursed at the inconvenience. However, unaware of the problem (and perhaps stupidly, not listening out for traffic announcements), I pressed on south and made great progress. I joined the M11 from the A14 just outside Cambridge and continued my trajectory. There were no warnings on any of the signs, traffic conditions were good but, just after the Birchanger turning, the gantry sign advised the M11 was closed immediately ahead. By then it was too late, there was nothing I could do. I was committed to a night of misery, frustration and anger. I'd always wondered how these things panned out. A few years before I was stuck on the M23 when it was completely shut following a terrible accident. That was a wait of about 2 hours on a Christmas Eve, during which time, nobody moved an inch. That was easy to deal with because we were all resigned to our fate, switched off engines and snoozed, worked, read and so on. A great cheer went up when we were all released like a champagne cork from a bottle. This situation on the M11 was altogether more difficult because, although spending much time stationary, occasionally we would inch forward, or sometimes be given false hope by a sudden surge for a few hundred metres. After two hours of this, I checked the Highways Agency website. It was 1700hrs and the site suggested the road would open at 2000hrs. My heart sunk as the realisation that the only method of escape was now by coming off the slip road at the next junction and crawling through local roads to reach an apparently also messed up Dartford crossing. So, I waited, and occasionally moved forward and became more and more concerned that this hold up was apparently the result of a shed load of cooking oil. Perhaps not unreasonably, I questioned why this might mean closing the M11 for eight hours. I scoured the web for answers, found both Essex Police and the Highways Agency to be silent on the matter, and turned to Twitter for answers. What I actually got, was a lot of sarcasm and perhaps a little bit of the Blitz spirit. Everyone was expressing the same concern, and no answers were forthcoming. Rumours spread, photos were posted and new friends were made in our shared discomfort. 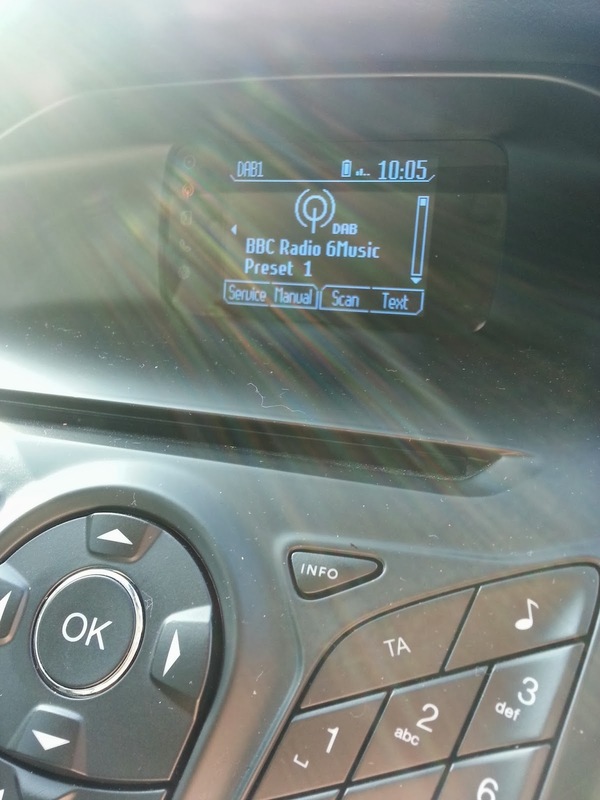 If it were not for Twitter, and the excellent DAB radio in my Focus, I think I would have gone mad. I probably should not have been using my mobile phone, for fear of prosecution from the police. However, their absence was notable, a regrettable situation because it would have been a great diversion to have watched them stop and charge all the drivers steaming up the hard shoulder, in their attempt to push in at the front of the queue. Hundreds of drivers decided that putting on hazard lights meant they were able to break the law and make matters worse for the rest of us, by blocking the emergency lane needed by the Highways people, who were bringing through trucks with tarmac and equipment so they could repair the surface. The overhead gantries issued a warning not to use the hard shoulder, but it was comprehensively ignored. I can only hope that these people had a hard time from those at the front of the queue as they tried to barge in. It seems that in these desperate situations, humanity divides into two and either complies and becomes obedient and courteous, or we return to our barely hidden ape-like past and put the blinkers on, becoming selfish and panicky. 2000hrs came and went, and the Highways gave an estimate of 2330 for reopening of the road. I had been hoping that we were about to be released, and made plans to have dinner at home, albeit rather late. The realisation that there would be another three hours or more was probably the lowest point in the experience. This coincided with my Vodafone signal dropping out and I couldn't even gawp at Twitter or get updates. The situation became desperate and I turned on BBC World Service. I now love BBC World Service. It transported me away from the M11 for a few hours and had a sort of calming effect which I will not forget. 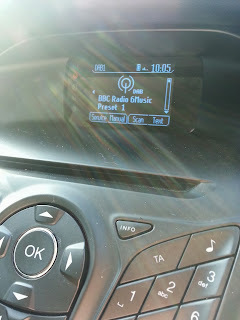 I was conscious that if I had my old Toyota, I would have the choice of some impossibly highbrow quiz show on Radio 4, or generic local stations offering a playlist of a dozen crap tunes. I had time to explore every button on my dashboard, every menu, sub menu, switch and feature the Focus offered and, perhaps because I had so few other stimuli, I also took time to inspect the quality of the materials and interior design. I appreciated the comfort of the driver's seat, the great driving position and visibility, and the ease of trickling through traffic at a snail's pace using a clutch pedal that was light but gave feedback sufficient for me to avoid lurching each time I inched ahead. I had dreaded the experience of pumping the clutch for hours on end but the Focus never gave me any cause for concern or discomfort. The last hour passed a little more quickly. I checked my Maps app and discovered I had now got quite close to the next junction. Lane 1 became very slow, and I realised that all traffic must be going into it. I moved into Lane 2 and progress sped up. It took half an hour to cover the last half mile as all lanes converged into one and we passed through a coned section (in second gear for the first time in nearly eight hours) and exited the M11. I wasn't prepared for this and was glad just to be moving. As pace picked up, I realised how tired I was. But, I could smell the Dartford Bridge now and I persevered until traffic came to a halt in Epping. I could not hide my disappointment and pulled into a Tesco to buy some chocolate to wake me up. Reluctantly, I rejoined the queue through Epping and finally came to the M25. Now was the time to give the Ecoboost engine a work out. The three cylinder engine gives a distant warble, akin to a rather muted V6 and surges ahead to 100mph without demur. The only issue was that it was surging towards another queue. Gantries warned me of LONG DELAYS at Dartford and my own lizard brain took over and advised me to take flight, not fight. I knew that I would have lost my rag completely had I been faced with another tailback, and I came off the M25 5 miles short of Dartford, turned around and resolved to go anticlockwise, fully through about 300 degrees of the London Orbital to get to the M23. It was a good decision, despite the myriad 50mph restrictions on the northern section. Once I got around the western section of the motorway, I set the car into an appropriate cruise speed and completely forgot that the car had only 3 cylinders. It never felt anything less than comfortably powerful, and was supremely refined and composed at high speed. This Zetec-S version had slightly firm suspension, but that kept me awake, and for the purposes of that journey home, I viewed the lack of cruise control the same way. I set myself a target of being in bed by 0130 hrs on the Saturday morning and pulled into my housing estate at 0115. I barely had the energy to empty the car and walk to my front door, before flopping. I had been running on adrenaline for most of the last 6 hours and, thank God I had filled with petrol and had a wee before getting on the M11. The next morning, I got up and scanned the web for any comment as to why a spillage of approximately 200 litres of vegetable oil could cause this chaos. I'd actually called the Highways Agency during the night and was advised that the surface had lifted. It seems that a jetwash was applied to the tarmac, and this finished it off. I have no idea if the situation arose from incompetence, but the total lack of information means that countless thousands of motorists have come to the conclusion that it was. Many were also calling for the head of the Range Rover driver on a plate. I don't think that's fair because we have no idea what happened. Those people can be satisfied that the driver will almost certainly be presented with a bill for road repairs and for cleaning out the watercourse the oil ended up in, if he or she was at fault. That will run into tens of thousands of pounds. Writing this the following morning, I am now calming down and the process has been cathartic. I was surprised at how quickly the time went. I would describe the manner in which time passed as similar to that on a transatlantic flight - you know there's nothing you can do about it, so you dig in and sit tight. I daresay that had I been late for a flight, or a birthday party or some other engagement, I might have resorted to the hard shoulder once I'd realised that there was a total lack of enforcement. 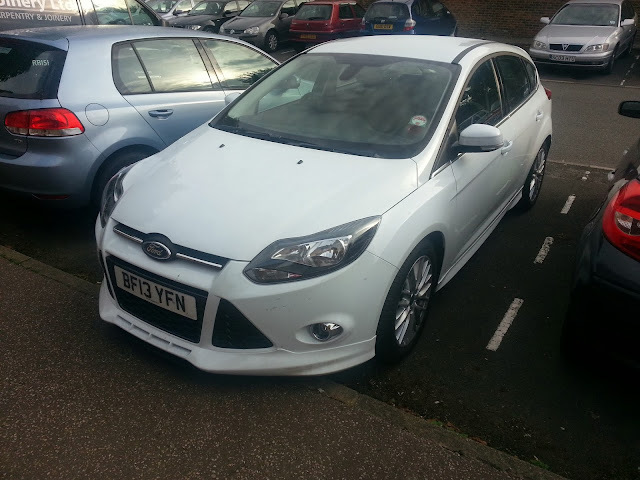 My introduction to the Focus was a baptism of fire. On the twisty Norfolk roads I had enjoyed the precision of the steering and suspension, and on the blast around the M25 late at night, remarked upon the mile-munching capability of the tiny engine. But perhaps where it was most impressive was in the accommodation afforded to me during those miserable 8 hours. I never became uncomfortable and enjoyed all the facilities the car offered and, as I spend so much time in the car, that's the bit that is really important. So, I'm looking forward to getting my own Focus in a few weeks and hoping that I have at least another 17 years before getting stuck fast in it.